The financing team here at FIAT of Daytona Beach have worked hard to create a range of financing options for our entire range of new, certified pre-owned, and used vehicles. In order to help you find the best possible rates and terms, our team of financing experts will work with you to understand your needs and your budget. The information you provide during this process will help them to find a customized financing plan that meets your budget and help you drive home in the vehicle of your dreams. We can help you finance your next vehicle no matter what your credit history shows. The FIAT vehicle you want to purchase: This includes the year and model of the vehicle you intend to purchase, whether it is new, used, or certified pre-owned. Your credit history: Your final loan offer will be based on your credit history, your income, and time at your current job. How much of a down payment you have: This includes both cash and trade-in. During the process our team of financial specialists are here to help you gather all necessary information to ensure a successful and affordable application. For those who lead busy lives we also offer an online application that can be completed from home or your office. This online application is protected by the use of highly effective encryption software to ensure your personal data will be secure at all times. 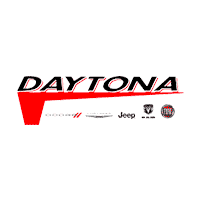 At FIAT of Daytona Beach, we are proud to offer our customers a fantastic selection of used, and certified pre-owned FIAT and non-FIAT vehicles that are frequently more affordable and may qualify for lower loan rates than new cars. Consider talking to our financing team to see if one of these vehicles will fit your needs. Most of our buyers know that their credit score plays a major role in whether or not they will be able to finance a new or used FIAT and that there are three main credit reporting agencies. However, few understand fully what factors these agencies use to determine an individual’s credit score. All three of these agencies use criteria that is very similar along with a range of statistical information to help determine your risk with regard to borrowing the money needed to make a major purchase. Payment History: Your record of making timely payments and how often you are late. Loan to Income Ratio: Your current debt load in comparison to income. Open Credit Accounts: The number of open lines of credit you currently have. Hard Credit Inquiries: How many recent hard credit inquiries you have in your credit file. Matters of Public Record: Whether or not you have any current judgements or liens. At FIAT of Daytona Beach, we realize that not all of our customers have the best credit, in fact, we understand that many, through no fault of their own, may have less than stellar credit or that this may be the first time financing a vehicle. Thanks to our diverse team of lenders we are able to find an affordable loan for most buyers that will meet their needs, no matter what their past credit history might show. We can help you establish or rebuild your credit and put you in the vehicle you need and want. This is just one more example of the extra lengths we will go to in order to take good care of our customers. If you are not sure you want to finance your next new FIAT, we are proud to offer the FIAT leasing program. For those who are unsure of the complexities surrounding leasing a vehicle, we have a number of lease specialists who can walk you through the entire process and explain its many benefits. Many of our buyers find it far more advantageous to lease a vehicle rather than purchase one. Chief among these are lower monthly payments and a smaller initial financial outlay. When you lease your next FIAT from FIAT of Daytona Beach, you can always trade your leased vehicle in at the end of the lease. We offer a variety of leasing options with terms as low as 24 months. At FIAT of Daytona Beach we are proud to offer the full range of FIAT leasing plans and can adapt them to meet your specific needs and budget.